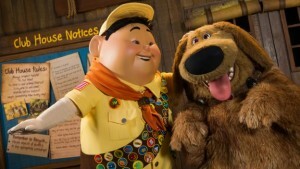 A brand new live show starring Russell and Dug from UP is coming to Disney’s Animal Kingdom. The new show is set to premiere next spring in time for the 20th anniversary of the theme park, replacing Flights of Wonder. The show will feature Wilderness Explorer Russell and his pal Dug “as they discover species of birds from around the world.” The show will take place in the Caravan Theater in Anandapur village. Flights of Wonder will end on December 31 this year. There’s no official start date for the new UP-themed show but we’ll keep you posted.